After the establishment of the new German state, it was essential for the German authorities to indicate the new boundaries as quickly as possible. 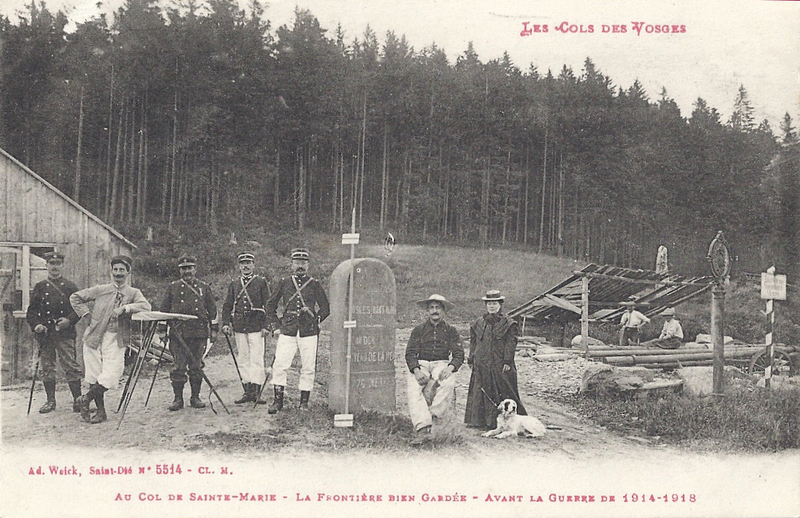 At each of the crossing points through the Vosges mountains, they erected wooden posts painted in the German colours. But soon it was obvious that these were susceptible to the extreme weather variations and to vandalism. 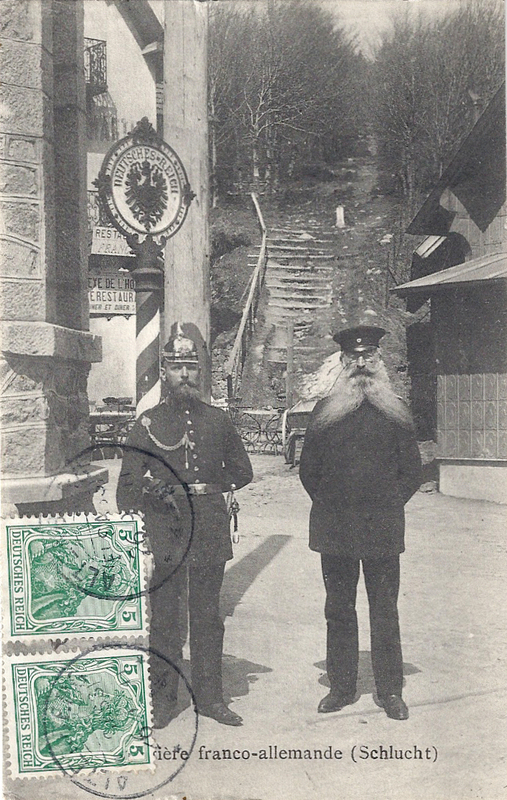 By contrast, and probably understandably, the French authorities were rather slow in marking the hated frontier and eventually, in 1885, the German ambassador had to intervene and insist that the work was carried out, arguing that there were risks to France in not indicating the border. A survey was carried out to evaluate the problem and twelve crossing points were identified. Reluctantly, the French agreed to erect their own posts. The Ministry of the Interior made a grant available to fund ten posts at the most important crossings and they were ordered in July, 1886, from a foundry in St-Dié. 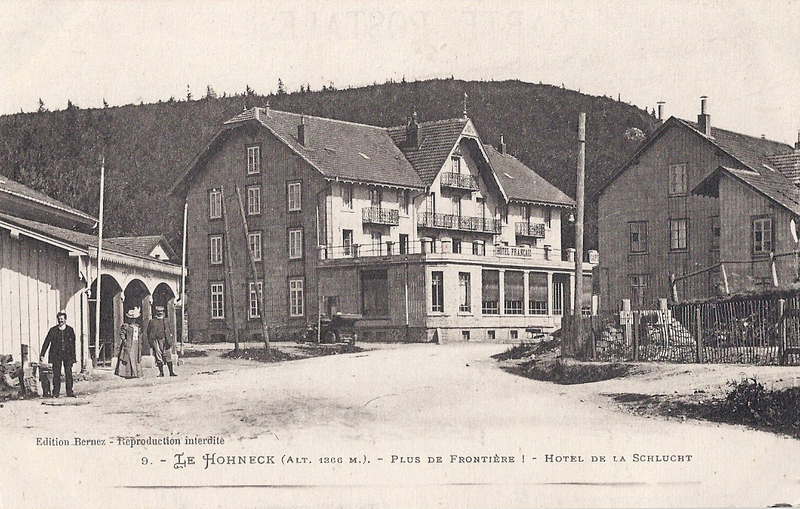 The Ministry of Public Works funded two more, one at the Col de Ste-Marie between St-Dié and Sélestat and one at the Col du Bussang north of the Ballon d’Alsace. They were in place by the end of 1886. Painting them was considered too expensive. Of course, they soon began to deteriorate. Newspapers began to complain about the shameful lack of maintenance of the national symbol, comparing them to the pristine condition of the German markers. Meanwhile the foundries of Kaiserslautern were busy making imposing plaques declaring to all travellers that they were entering the German Empire. From 1889, these were in place, dominating the less cared-for French markers, often mounted on striped posts in the Empire’s colours. 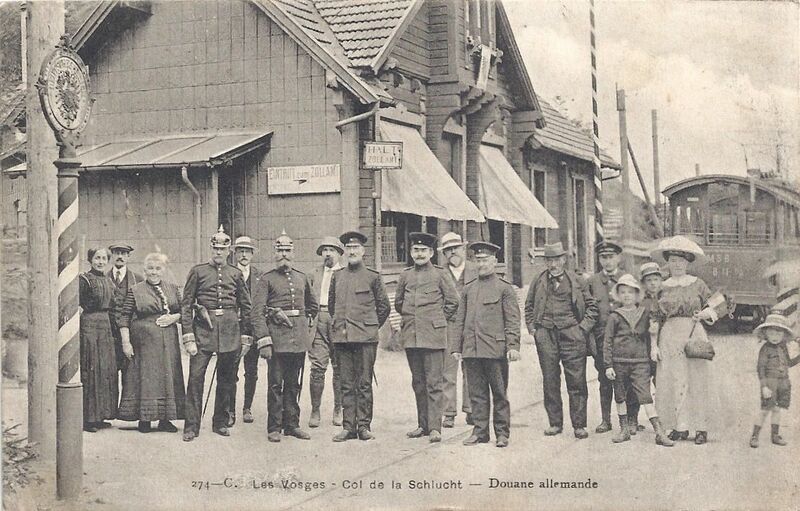 Categories: Administering the frontier before the Great War | Tags: Alsace, bornes frontières, Col de la Schlucht, Col de Ste-Marie, Elsass Lothringen, poteaux frontières, Vosges | Permalink.